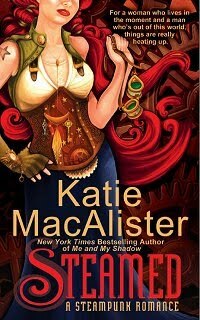 Katie MacAlister is the author of over 30 novels primarily of the paranormal romance variety. During her downtime she happens to play a little-know online game called World of Warcraft. Here she discusses her writing, her background in gaming, what her experience with WoW has been like, and why it is she continues to play to this day. For more information on Katie and her work, check out here website and blog. For those out there who don’t know your published work, would you mind giving us a little background on what it is you write? I write a variety of romantic fiction and mysteries, predominately paranormal-oriented, so you can expect to find vampires, dragons in human form, necromancers, Viking ghosts, and a whole slew of other beings in my books. I even have liches, although mine differ quite a bit from the Blizzard version. It’s hard for me to believe, but I have more than thirty books out now. 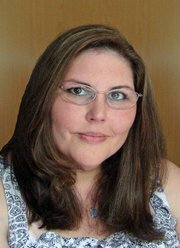 My books are regulars on the New York Times, Publishers Weekly, and USA Today lists, and are published in a variety of countries and formats. From the FAQ section of your website you mention being hopelessly addicted to World of Warcraft. I’d say you’re in good company here. Would you mind describing when you first started playing the game and how that all came about? What tends to be your playing style these days? Right now, my toons are in a bit of a holding pattern waiting for the expansion. As a rule, I tend to be a casual player, so I’m not going to go nuts trying to level as fast as I can. I prefer to enjoy the journey and enjoy the content as I toddle my way to the level cap. I hit a major burnout session earlier this summer after getting Loremaster on my priest, and pretty much was content to simply run with my weekly raid group. Since I have something like nine 80s, I knew that I’d go insane if I tried to level them all in Cataclysm, so I decided to narrow the leveling field to three: two healers and a DPS. I’ve just moved my resto shammy who I intend to level to a new server, and joined a guild that I am greatly enjoying—Riders of Gilead on Ysera—so that will be pretty much my main focus. I hope to raid with my healer once we’re all settled and 85, but I’ll never really be anything but a casual raider. Is your husband also a gamer? What was your gaming experience like prior to WoW (board games, pen & paper RPGs, console & computer games, etc.)? 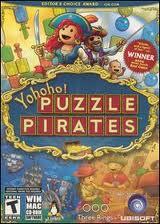 My online gaming experience was limited to one MMORPG: Puzzle Pirates. I never played consoles, played only Sim City and related Sims as computer games, and never got into board games or paper RPGs. Sometimes, I feel a bit left out when I hear guildies talking about their Warcraft III days, or Everquest romps, or even Mario whoozits, but I’m happy with just being a WOW geek. Many of the authors I’ve interviewed view gaming as a potential threat to their productivity as a writer. As someone who games, how have you managed to reconcile these two activities in your life? Far from being a threat to my productivity, it’s a boon; my WOW time is my reward for getting my daily wad o’ writing done. When I’m on deadline—which honestly seems like it’s most of the time—I don’t let myself play until I’ve completed the daily word count that lets me write a book in a comfortable amount of time (usually two months). So if I’m really Jonesing for some WOW, it serves as an incentive for me to get my work done first, then I can loll around the rest of the day and play to my heart’s content. 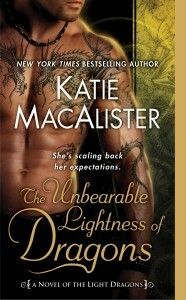 From a romance writer’s standpoint, what do you think of the writing that has gone into World of Warcraft? The romance writer in me appreciates the ebb and flow of characterization, the bad boy villains who everyone loves to hate, the characters who may seem to be good (or bad) and turn out to have unexpected depths, and the big story arcs that contain smaller, easier resolved arcs. There have been a few things that I’ve disagreed with (I dislike the manufactured feel to antagonism between Horde and Alliance, since it seems to me that there are other ways for that to manifest itself), but on the whole, I feel the characterization and storylines are pretty good, and the level at which players can immerse themselves in the story is improving with each expansion. As someone who obviously appreciates the written word and the art of narrative, do you tend to read the quest text and immerse yourself as much as possible into the story of the game? It’s the little things like that and the flavor text on items that gives me great enjoyment. I particularly like some of the text on vendor trash, since they can be very amusing. Would you mind sharing an interesting and/or amusing story from your time in World of Warcraft? I’ll tell you one of my most embarrassing stories…when I was a brand new player with a level 17 priest, someone mentioned the Barrens to me as being an area in which I could safely quest. I had no idea how to get there, and ended up swimming up the coast from Theramore. It took forever, but I couldn’t figure out how to get there any other way (no, it never occurred to me to simply run west through Dustwallow). Once I was in Ratchet, I was horrified to see a couple of Horde hunters there. I’d heard about PVP, you see, and knew that Horde players could kill innocent little level 17 noob priests, and had no idea what to do to get out of there other than to swim back down to the safety of Theramore. I didn’t realize that one had to be flagged, or on a PVP server in order to be gankable, no, I just figured they were there with the sole purpose of killing me. So I started for the docks, intending on making the long swim back to Theramore, or at least far enough that they two hunters would lose interest in me, at which point I could sneak back. Alas, the hunters must have been waiting for a ship, because they followed me to the dock. I, of course, was convinced it was me they were following with nefarious intentions on their Horde minds, and panicked. I bolted past them, spamming heals on myself in case they started whacking at me as I ran by. I didn’t stop running until I was lost in the wilds of the Barrens. It took me a long, long time to recover from my scare and near miss—two Hordies! I could have been killed!—and was just congratulating myself on my cunning plan to escape them when I wandered into Crossroads, and was promptly slaughtered by guards. It took a long, long time before I ever went back to the Barrens again. As a successful romance author, do you feel the need to play down the fact that you enjoy playing an online role-playing game? Naw, I’ve never made any bones about the fact that I’m a huge WOW geek. Luckily, many of my readers are just as geeky, so they put up with my squeals of delight when I yammer on about a new achievement or mount. Not really, no. Gaming for me is brain candy time, when I can reward my muse for all her hard work by letting her frolic in adventures where she doesn’t have to think up lore and characters and details like that. It’s probably one reason why I don’t participate in RP servers or events—RP is basically what I do for a living, so I try to get away from that in my play time. One thing I keep reminding myself whenever I get in a snit over something is that it’s a game and it’s supposed to be fun. If I find myself kicking my feet and grumbling because I have to go grind rep for something, or annoyed with a guildy, or damning my long run of single-digit /rolls, then I know it’s time to do something else. I don’t mind working for goals in the game, but if something becomes tedious, then it’s time for either a break, or to do something else in the game.